It's not about having the best, it's about creating a home that makes you feel your best. I’ll Have a Blue Christmas . . .
It’s no secret that I’ve got a major thing for navy. 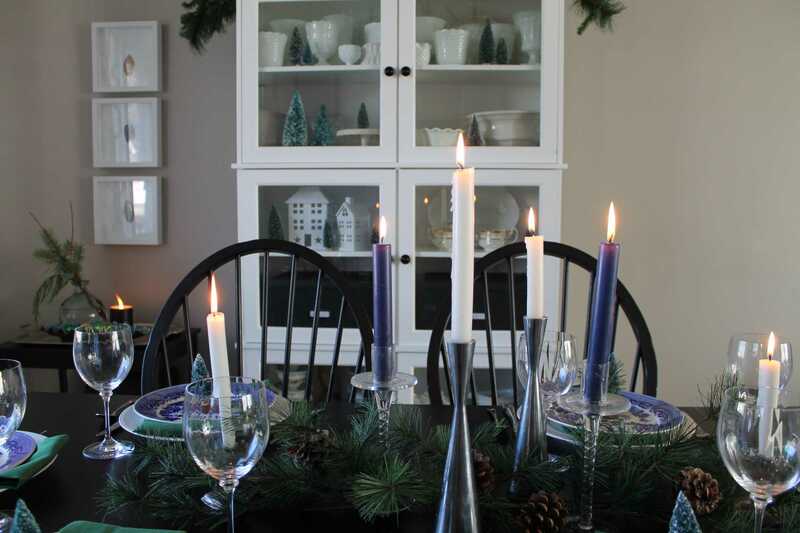 So I’m not sure why I haven’t incorporated the world’s best colour in our Christmas decor sooner! This year I felt like I needed Christmas to be less red and green and tinsel and more blue and green and natural. 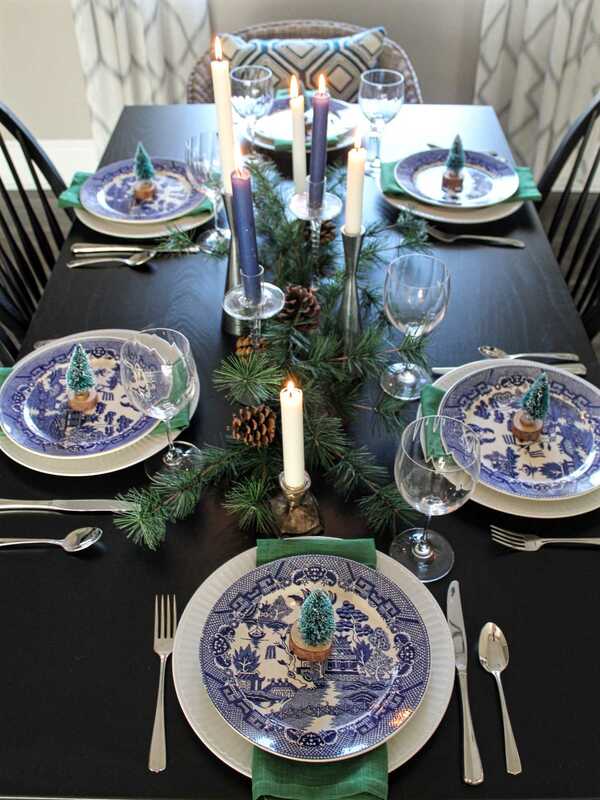 Recently I came into a bunch of Blue Willow dinnerware which was the inspiration for our holiday table. I added some greens (which I foraged from the wilds of Hobby Lobby’s artificial floral section), candles, bottle brush trees and called it Christmas. 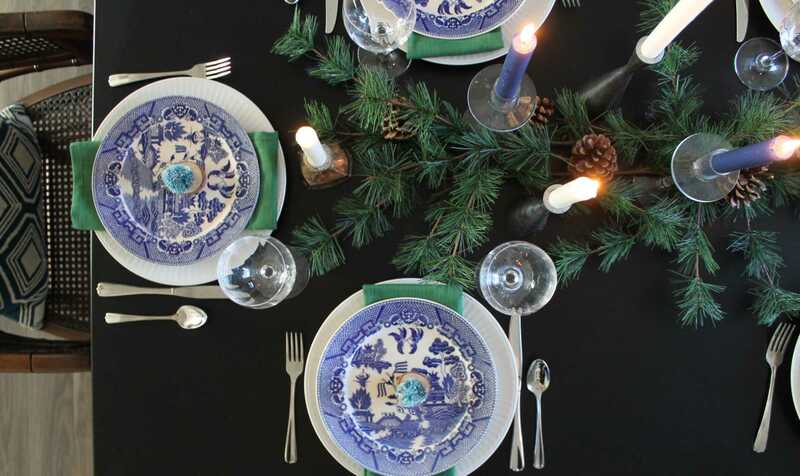 Whether it’s blue and white or red and green, I hope your Christmas table will be holding your favourite foods and your favourite people this season. 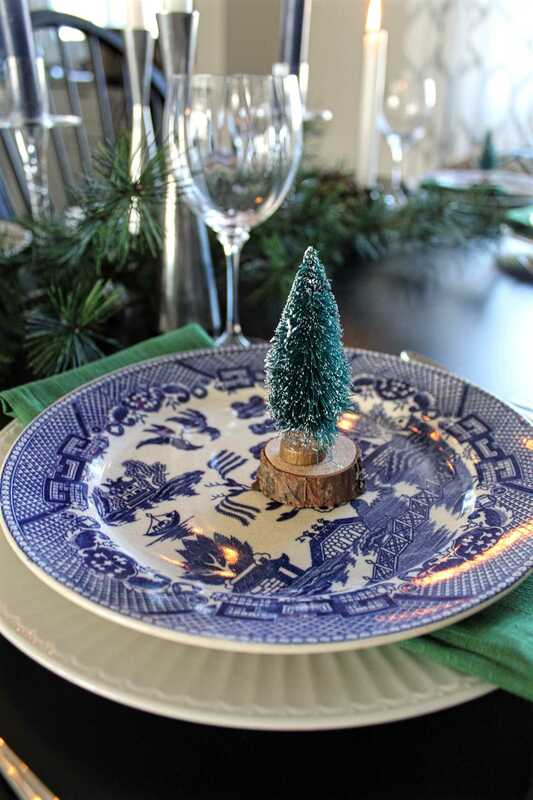 As a huge fan of blue and white china, I love this!! 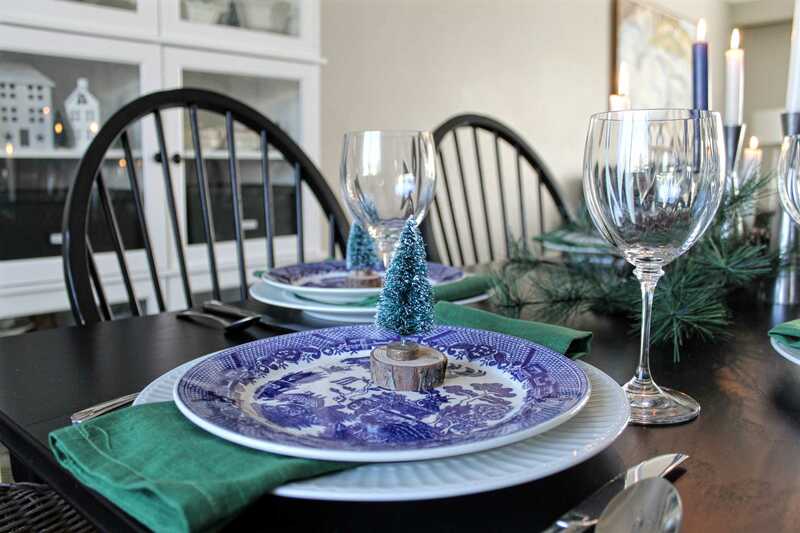 My grandma gave me blue onion china when I was young and I love using it every Christmas!